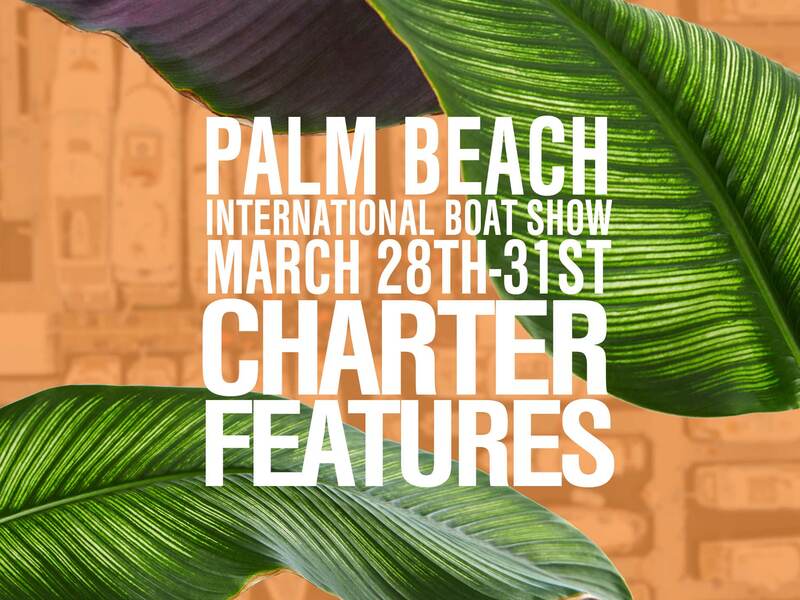 Held annually, the Boat International Design & Innovation Awards acknowledges exceptional achievements in naval architecture, style, design, and engineering innovations in the yachting industry. 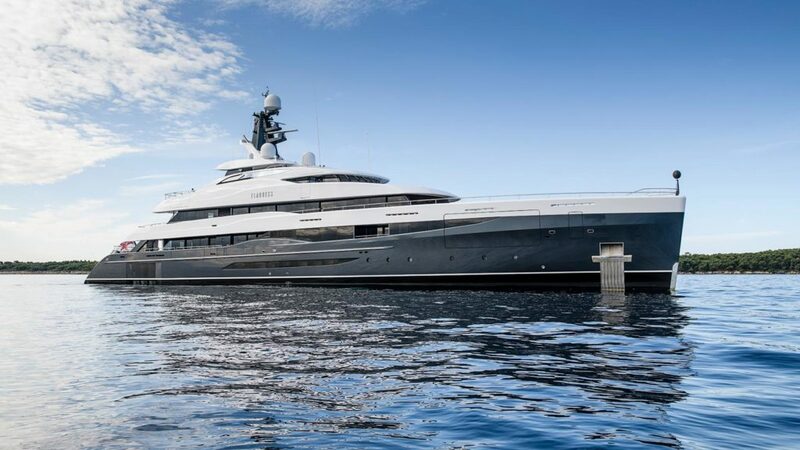 Luxury yacht ELANDESS swept away the competition at the 2019 awards ceremony. 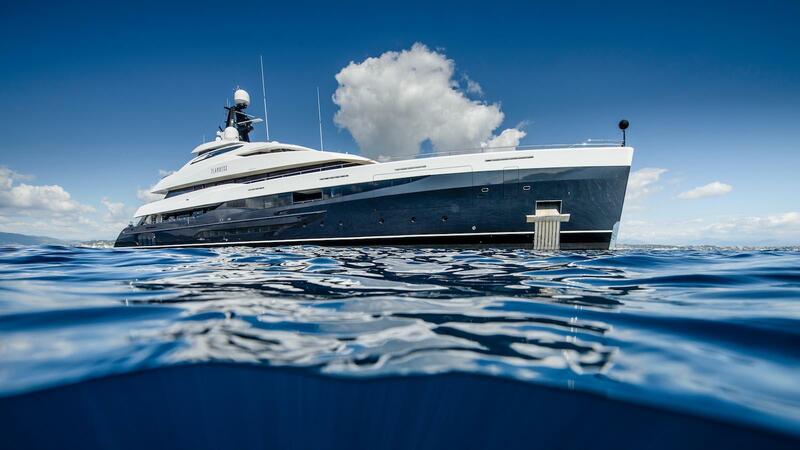 This year she is taking home four superlative titles: Best Exterior Styling Motor Yachts 60m and Above, Best Interior Design Motor Yachts 500GT and Above, Best General Arrangement and Deck Design and Best Lifestyle Feature Design. 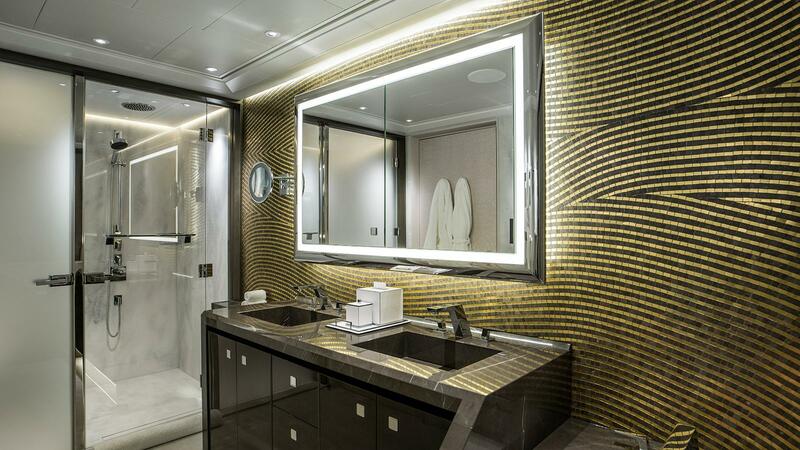 Designers of custom luxury yacht 74.5m ELANDESS went above and beyond when designing this yacht. 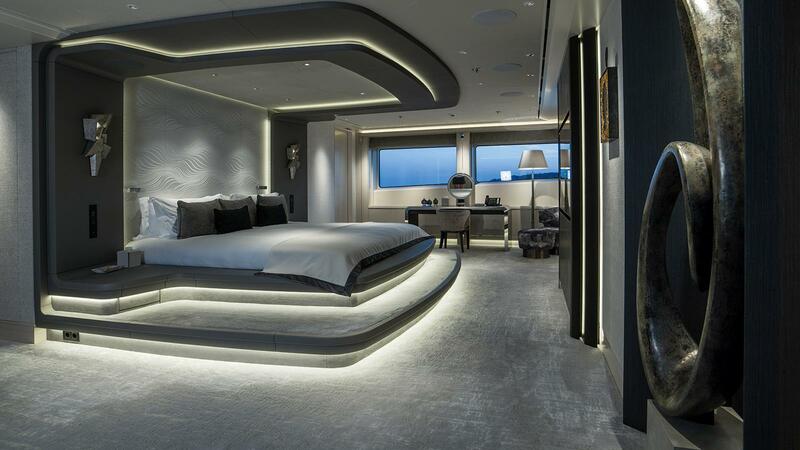 Harrison Eidsgaard is credited for creating the distinctive interior and bold exterior of this elegant superyacht. 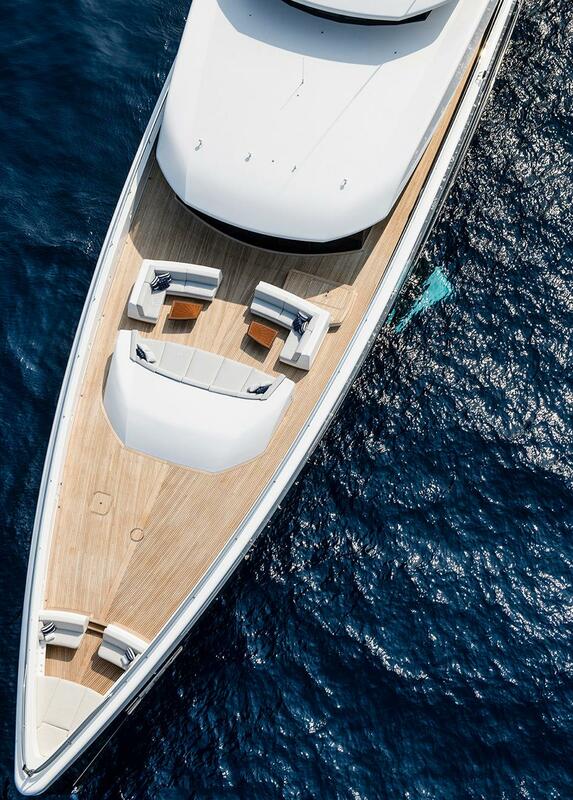 German company, Abeking and Ramussen, are responsible for creating the naval architecture to conform to yachting perfection. This steel and aluminum yacht is sure to stand-out in any port with her cutting-edge structured bow, dark hull, and sleek architecture. 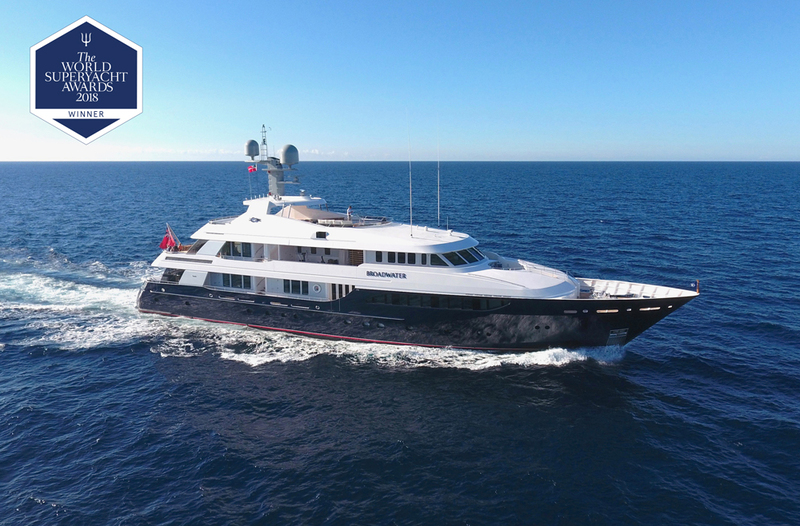 Exceptional stand-out features of M/Y ELANDESS include her massive deck spaces and modern interior, and unique layout. 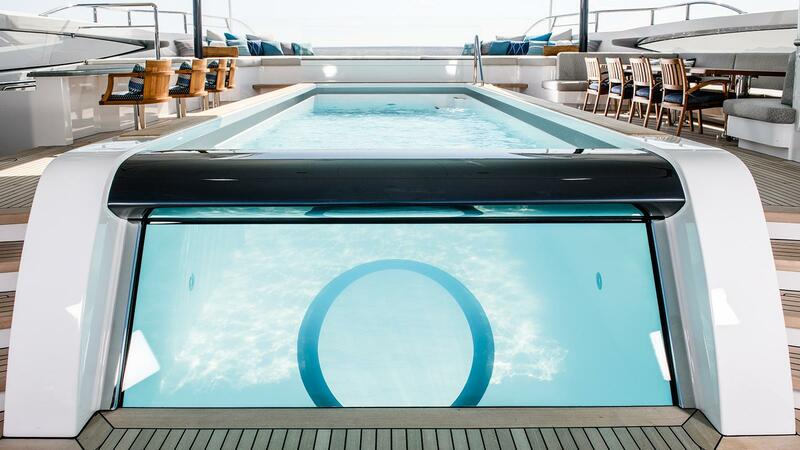 The expansive sundeck on this superyacht features an eight-meter swimming pool. 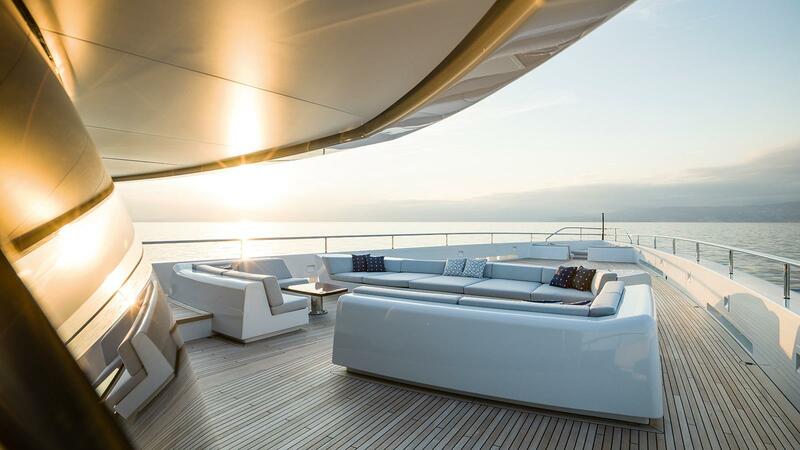 The surrounding decks are carefully balanced with sun pads, dining tables and plenty of space for entertaining. The ELANDESS Nemo Lounge is located below the waterline and includes portholes, offering a new perspective for her guests to fancy. 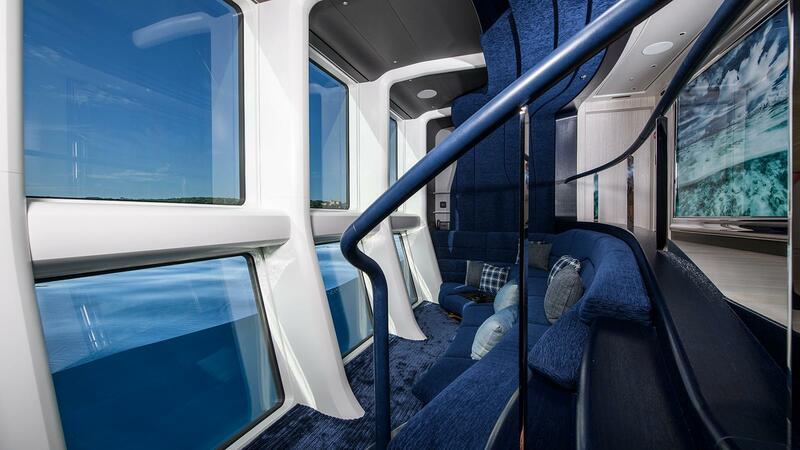 An observation lounge above the upper deck salon was designed to offer stunning one-of-a-kind views. 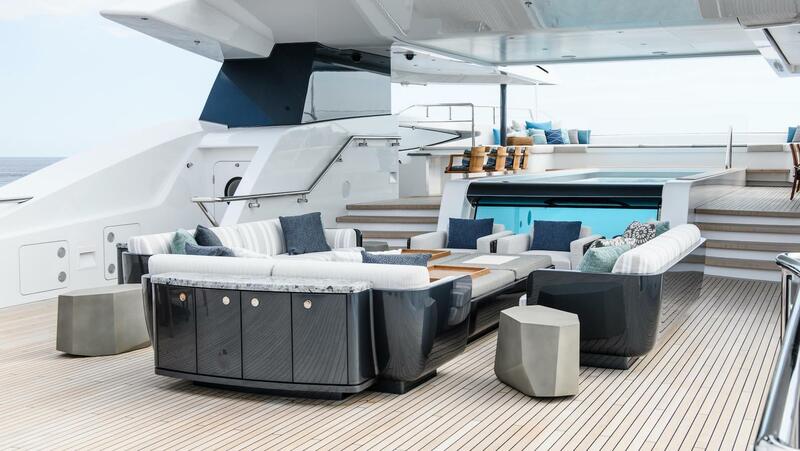 The interior configuration was inspired with goals to be extremely modern, lounging areas ideal for a family, and entertaining amenities for social functions. The brief required an open plan of the interior spaces that were made flexible by designers to comply with the owner requests. 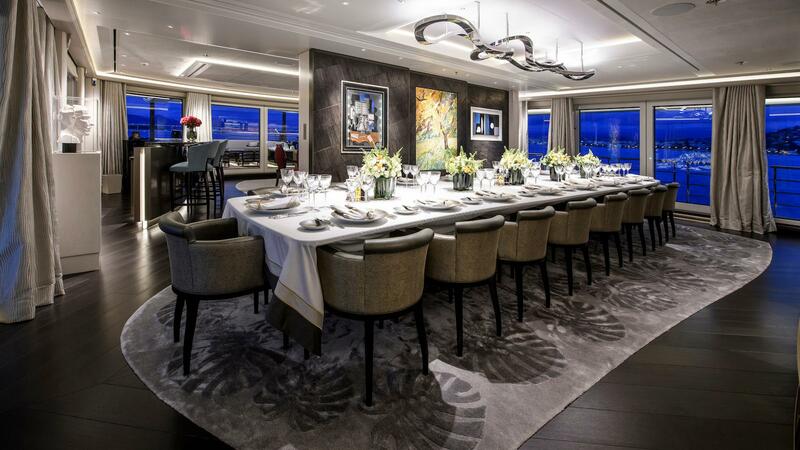 Super Yacht ELANDESS can accommodate up to fourteen guests across seven staterooms. 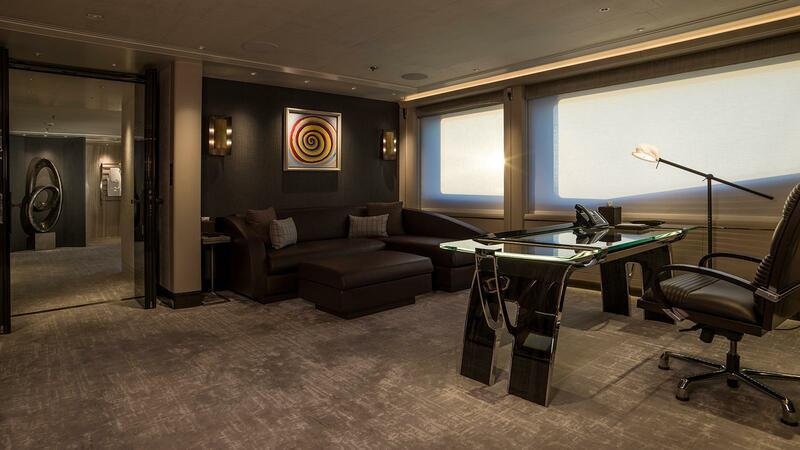 Floor to ceiling glass doors offer panoramic views throughout the yacht. ELANDESS has pushed the envelope for design and innovation. 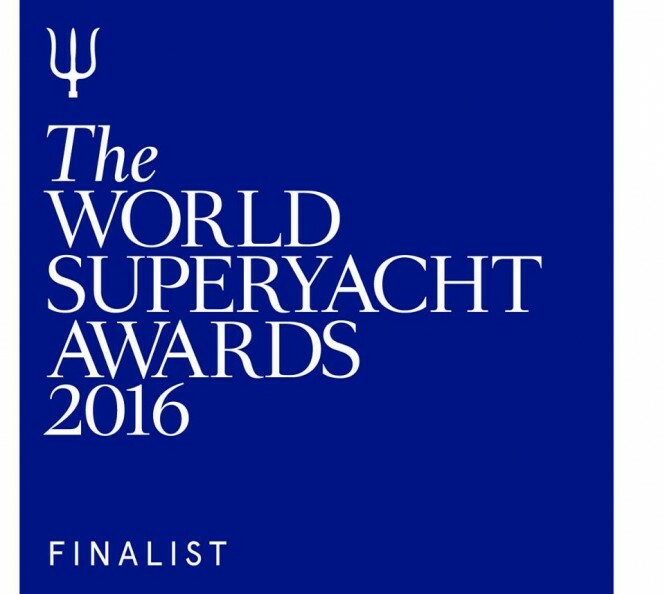 Michael Mahan and Worth Avenue Yachts business partner Brian Tansey started the successful boutique company over 5 years ago. With years of experience and notable sales Michael is recognized as one of the industry's top sales brokers. 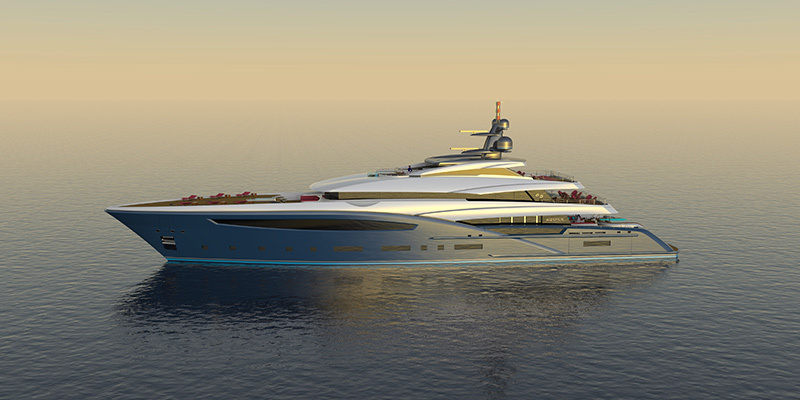 For more information on New Yacht Construction, Yacht Sales or Charter, contact Michael today!